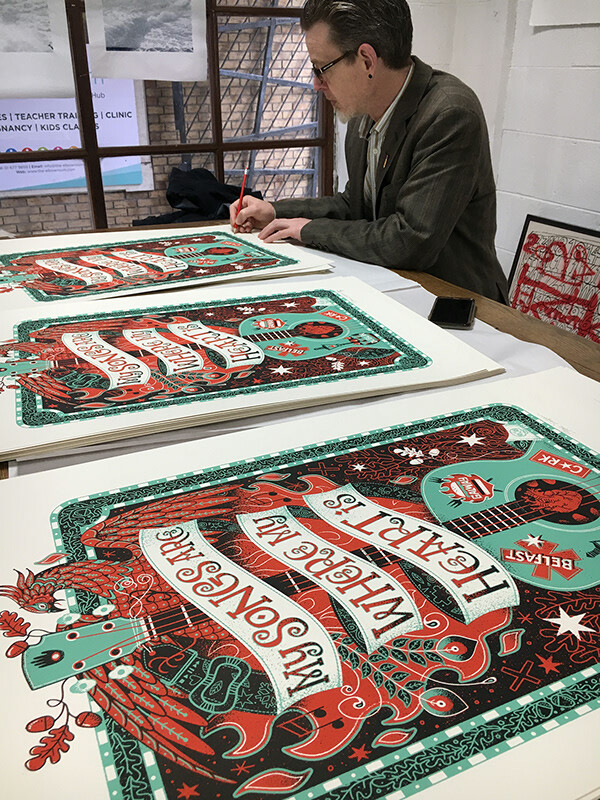 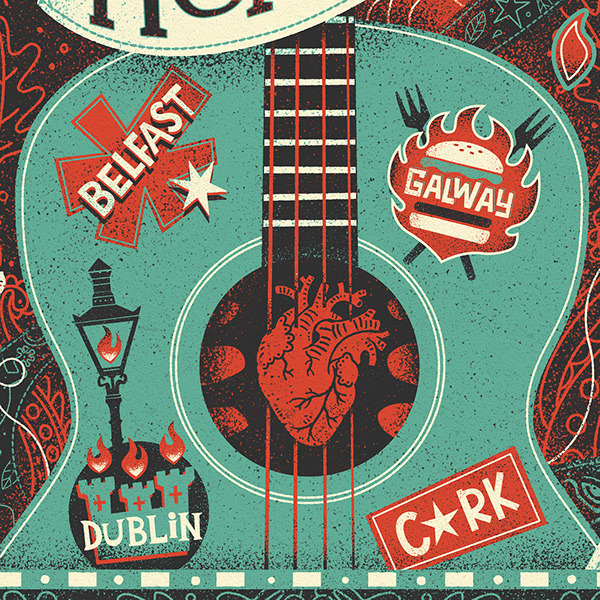 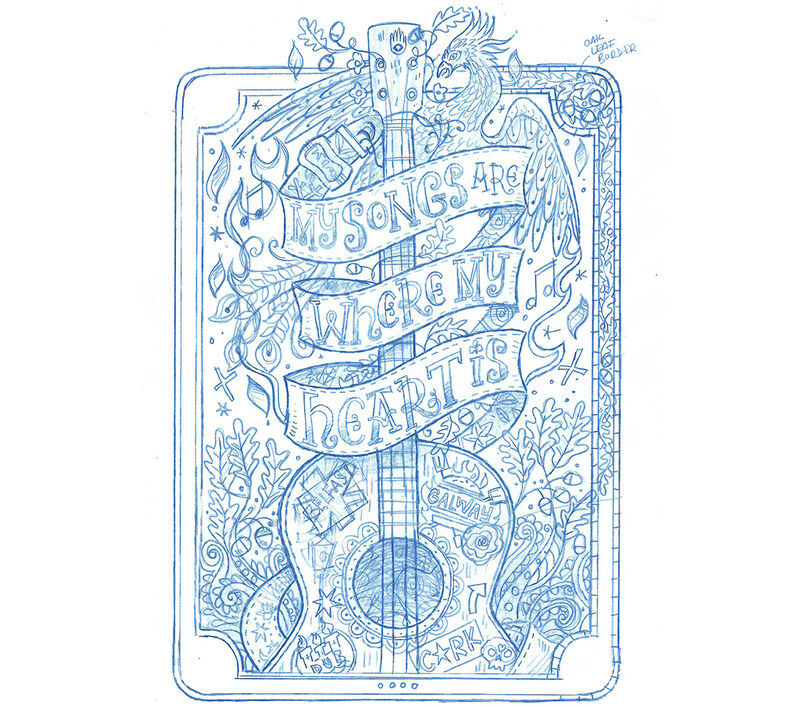 Limited edition of 33 screen prints commissioned by Aiken Promotions as a personal gift to Ed Sheeran following his sold out Irish tour. 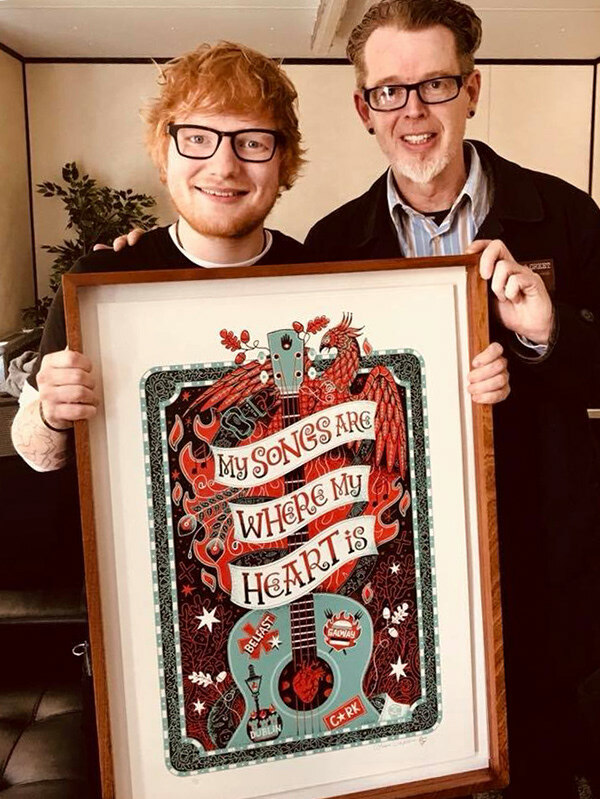 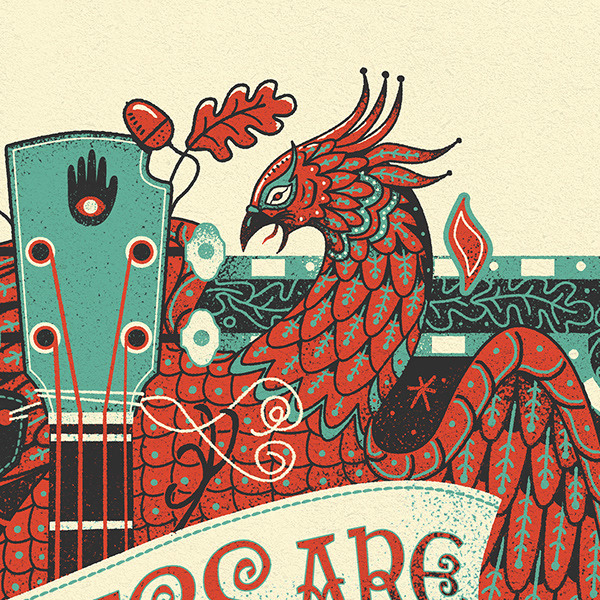 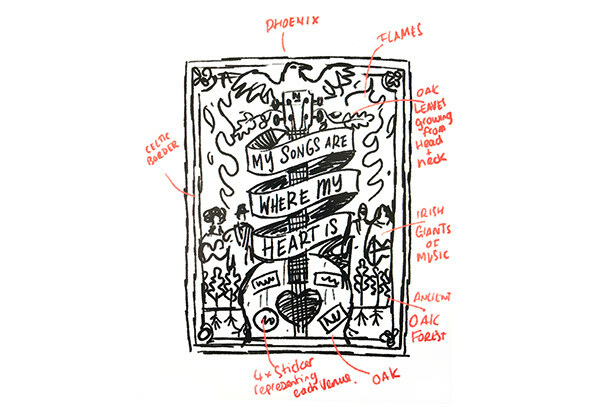 Working with Aiken we tossed around a few ideas, finally deciding to base the image on one of Ed Sheeran's Lyrics, the venues of his Irish tour (Phoenix Park was his Dublin venue) and a beautiful tenor guitar he was also being presented with. 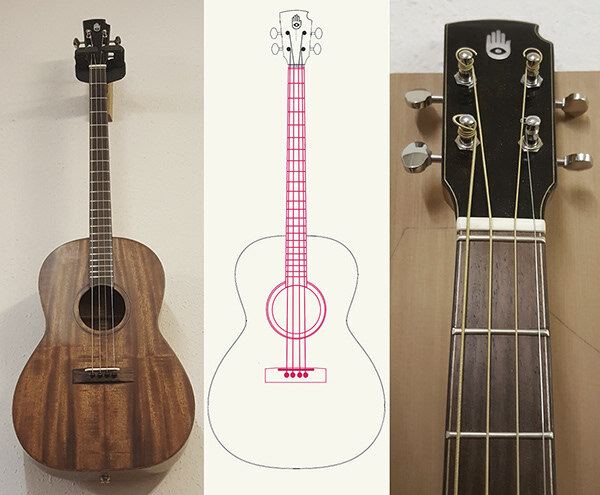 The guitar had been made from Irish bog oak so I wanted the oak leaves to feature in the design. 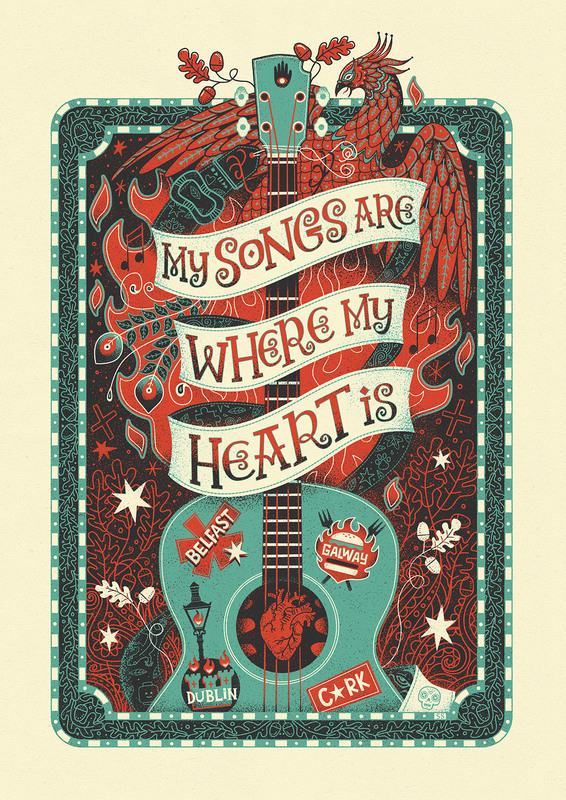 We limited the edition to just 33 prints.